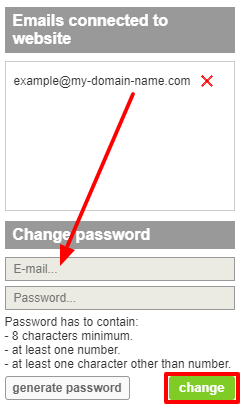 Forgot password to mailbox created in WebWave - website builder with no coding? You can easily change it. Sign in to your Webmaster's panel. Next to a website, which is linked to the mailbox, select Mail icon. Choose a mailbox to reset its password. Type a new password and change it.